← Is it OK for adults to wear children’s clothes? 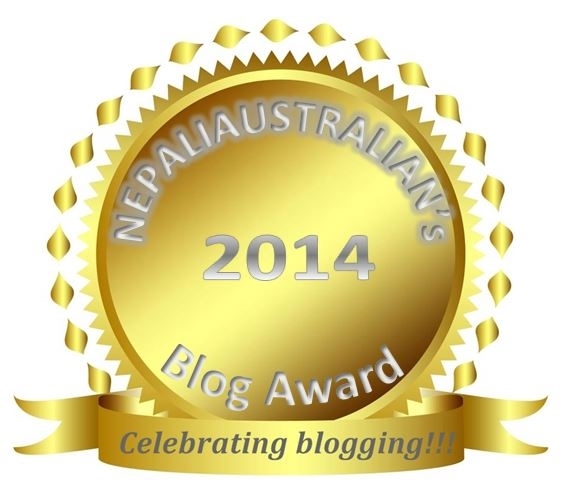 Like very year, I am hosting Nepaliaustralian’s Blog Award. Sorry this year it is a bit late as a little someone decided to be a part of our life in 2015 making mummy very busy. Thank you so much to everyone who emailed me or commented regarding the award. Yes it is back for 2015. 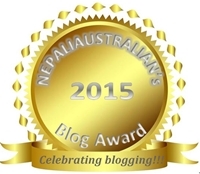 Nepaliaustralian’s Blog Awards celebrates the best in blogging with 12 winners being announced at May 2016. Any pages with dated entries that existed at some point during the year 2015 are eligible. Nominations close on 30 March 2016. After nominations close, I will post the top 5 blogs in each category and you can vote for them. The Blog Award will be announced in May 2016. This entry was posted in Nepaliaustralian Blog Awards and tagged awards, Best Blog Design 2015, Best Blog for 2015, Best Blog Post of the Year 2015, Best Fashion Blog 2015, Best Fashion Blog Post 2015, Best Food Blog 2015, Best New Blog 2015, Best Personal Blog 2015, Best Photo Blog 2015, Best Photo Blog Post 2015, Best Travel Blog 2015, blog award, blog awards, Most Diverse Blog 2015, Most Educational Blog Post 2015, Most Witty Blog Post 2015, Nepaliaustralian Blog Awards, Nepaliaustralian's Blog Awards, personal blog. Bookmark the permalink. Are the nominations limited to Nepali Australian Blogs ? ?